Fancy dark chocolate in the form of coins with the relief drawings of Tenge, Euro, Rubles. 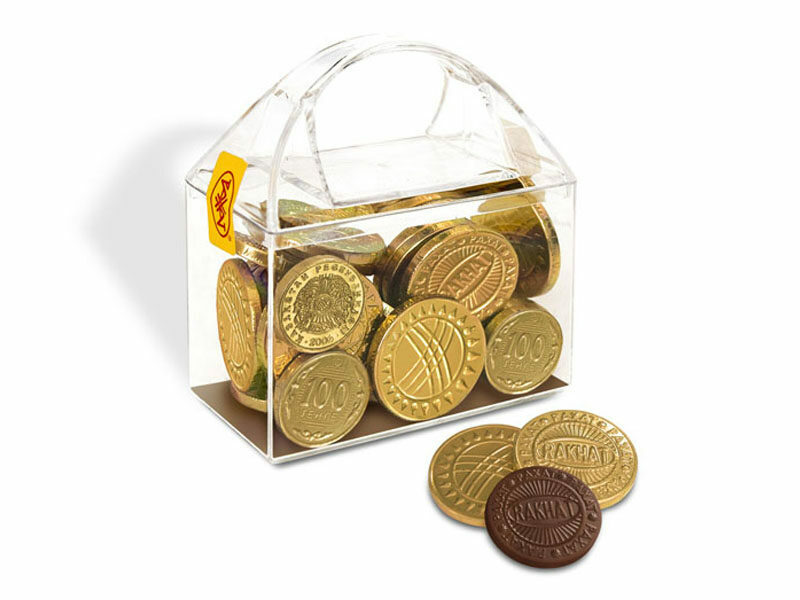 Coins of chocolate are wrapped into the shining foil and packed into the stylized bright boxes. Ingredients: sugar, cocoa mass, cocoa oil, emulsifiers: soy lecithin, Е476, Е492; extract of natural vanilla is intensifier of taste and smell.